An ultra-premium Vapourlites compatible rechargeable starter kit that contains everything you need and of the highest quality. This Platinum Kit features 2 UltraCore batteries so you’re never without power, a luxury carry case, 12 cartridges, car charger, mains wall charger and USB charger. Every component features the most advanced technology available to deliver maximum vapour, flavour and throat-hit. We are the original E-Liquid specialist and we have carefully crafted every component in this kit to create the ultimate experience available. Our batteries and other components aren't affiliated with Vapourlites. Indeed, we've refined and improved our batteries to provide the best performance and reliability. Unlike other brands, we use the highest quality, most expensive and sought-after battery cores to give you the longest-lasting charge, maximum vapour production and highest number of re-charge cycles until the battery stops working. Our batteries have a massive 280mAH capacity - nearly twice as much as many others. UltraCore technology provides the fastest charging time and maximises the battery's life. Combined with our 3 month warranty, you can be confident these batteries will deliver the performance you desire. Try MagicMist cartomizer cartridges today and enjoy the thickest-vaping, best-tasting cartridges available. Our Vapourlites compatible cartridges offer the best throat-hit and most realistic smoking experience possible - our E-Liquid is used by many of the world's largest E-Cig brands. We’ve used customer feedback and conducted extensive research to develop and enhance our cartridges. We use the highest-quality atomizers and work closely with our supplier, using their own tobacco farms and cutting-edge R&D laboratory to create the finest E-Liquid with the perfect combination of ingredients, providing a rich, smooth flavour and maximum vapour. Our Vapourlites compatible cartridges are available in rich, original tobacco and refreshing, cool mint Menthol, and in this starter kit you can pick from 2 of our 5 nicotine strengths: High (Regular) 18mg or Extra High 24mg. MagicMist USB chargers are the ultimate in reducing vaping down-time, providing the fastest charging times and highest reliability. Our Vapourlites compatible chargers are packed with features including built-in overcharge protection and three-colour LED charging progress indicators. Plug this charger into any USB socket (such as on a computer), or combine with our wall charger or car charger to provide charging options almost anywhere. MagicMist chargers are built to last and backed by our 12 month warranty. 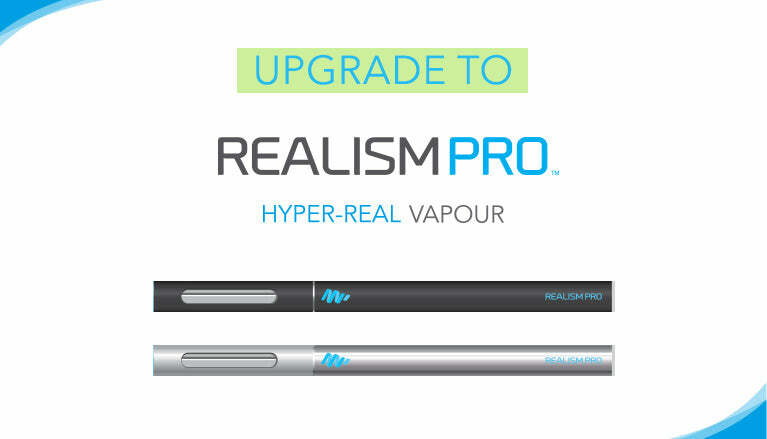 For an even more realistic experience with up to 15x more vapour creation and 5x higher battery capacity, check out our range of Ego & iTaste Vapourizer Kits, which are also available with Variable Voltage technology - allowing you to adjust the quantity and intensity of vapour produced! All this from only £16 including E-Liquid. Compatibility with your existing E-Cig brand is guaranteed, our batteries are backed by our 3 month warranty, chargers by our 12 month warranty and we offer free first class/express shipping on orders over £25 (UK) or £35 (Europe). With MagicMist you enjoy the highest quality at the most competitive prices. But don't take our word for it - with our 30-day money back satisfaction guarantee you can try the best and if not satisfied, simply return for a full refund.